A neighbour, who asked not to be identified, saw a group of youths throwing commemorative wreaths into Wood Lake, off High Point Boulevard, late on Anzac Day. The next morning, more than a dozen wreaths ” many damaged beyond repair ” were recovered floating on the lake. The area around the amphitheatre also was littered with beer bottles and the remains of small fires lit using torn wreath remembrance cards. It was the second major act of vandalism at the amphitheatre in a month. Two weeks ago, two flagpoles were snapped off at their bases and thrown into the lake. They had to be replaced in time for Anzac Day at a cost of $2000. Two amphitheatre power points, checked only days earlier, were found to be damaged beyond repair at the dawn service. 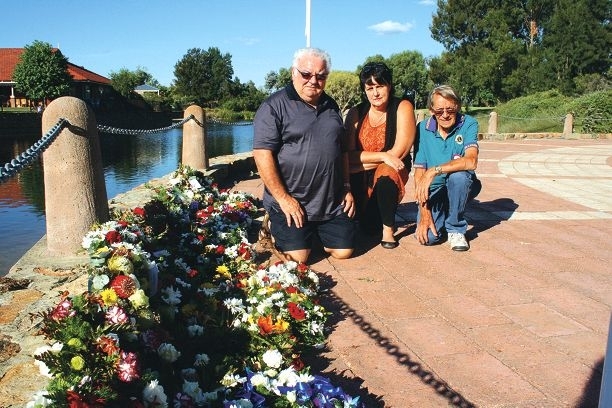 Ellenbrook RSL memorial committee chairman Alan Rodgers said the vandalism was a desecration of the Anzac tradition and memory of the fallen soldiers. ‘The wreaths cost up to $80 each and were generously donated by local community groups ” they aren’t supposed to be taken away for weeks,’ he said. The incidents come as Anzac Day organisers praised young people for showing up in force at the Ellenbrook dawn service. A significant number of young people paid their respects to past and present members of Australia’s defence forces who have served in war. Ellenbrook police Senior Sergeant John Waghorn said officers would increase patrols in the area before future events. City of Swan Ellenbrook ward councillor Patty Williams said the council had recently launched a draft community safety plan and had invited residents to make suggestions to help cut down local crime and vandalism. She said there was no blanket solution, and a number of measures, including the installation of more closed-circuit television cameras and increased lighting, might act as a better deterrent.